Behind the colour and spectacle of California’s Disneyland Resort are facts you will find almost impossible to believe. 1. 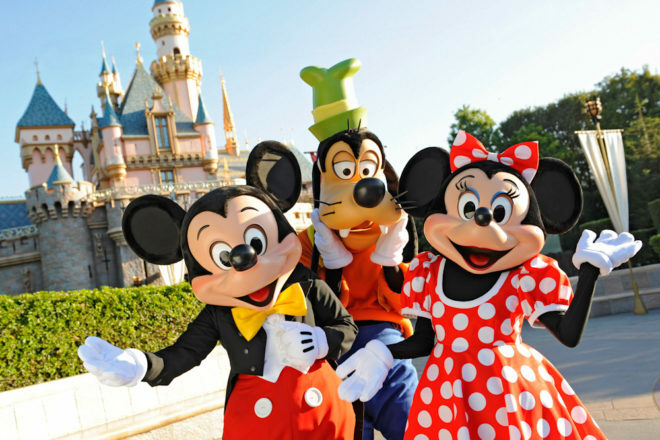 There are a total of 29,000 cast members at Disneyland Resort. 2. Disneyland Park created the first daily operating monorail in the western hemisphere. 3. The nighttime water spectacular World of Color uses a submersible platform that’s bigger than a football field, with more than 18,000 points of control and revolutionary lighting that infuses nearly 1200 fountains with colour, making it one of the largest show systems ever built. 4. The Disneyland Resort custodial team helps to recycle more than 22 tonnes of material each day. 5. Over the years a veritable who’s who has visited Disneyland Resort, including presidents, athletes, artists, authors and celebrities. 6. At nearly 27,870 square-metres and more than 38 metres tall at its peak, The Ornament Valley Mountain Range in Cars Land is the largest rock structure in any domestic Disney theme park. 7. More than 38 different languages are spoken among Disneyland Resort cast members. 8. The Disneyland Resort costuming cast members maintain more than 1200 different costumes +for use in the parks and hotels. 9. More than 50 certified scuba divers work on the resort Facilities team, which maintains attractions such as World of Color and Finding Nemo Submarine Voyage. 10. Mickey Mouse ear hats: Over 84 million ears have been sold since the original Disneyland Park opened back in 1955, making them the most popular Disney souvenir ever. While in the past the ultimate upgrade was getting your name embroidered on the back of them; now the Made With Magic Ear Hat lights up in time with the nightly shows using infrared technology.